In the long history of motoring, the unspoken goal of the starting process is to make it as easy and invisible as possible. Cumbersome cranks gave way to a combination of keys and starter buttons, then to just a twist of a key, and now many new cars just use a simple button. One time, though, on one car, there was a totally different goal: to make starting the car a challenge. To make it require effort. To make it a game. Oh, also, I think this car may have had the very first portable version of a really well-known electronic game. I’ll explain. Interestingly, the reason for making the startup process a game wasn’t about having fun, and it wasn’t even on a car designed to be particularly fun. It was all about safety, and the car it was used on was an early 1970s experimental safety car built by the British Austin Rover Group, the MG SSV1. Back in the early 1970s, people had finally and collectively gotten fed up with dying in cars all the damn time, and so carmakers and governments decided to actually do something about it. 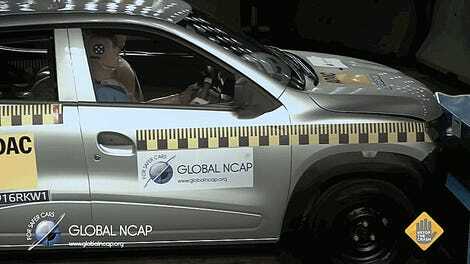 Among the somethings that were decided to be done was the Experimental Safety Vehicle (ESV) program in the U.S. Carmakers were encouraged to produce special experimental safety vehicles as part of the program to help develop new automotive safety innovations. Carmakers from all over the world ended up producing ESV cars: Volvo, Mercedes-Benz, Volkswagen, Toyota, Renault, Chrysler—this was a big deal for many companies, since safety was starting to become a selling point, and it’s easier to sell cars to people who are still alive. Right now, though, I just want to talk about the 1972 MG SSV1, and, specifically, the novel starting procedure. The MG SSV1 was based on an MGB GT sporty hatchback of the era, and is unique among ESV in that it’s possibly the only one built based on a car with some actual sporting pretensions. 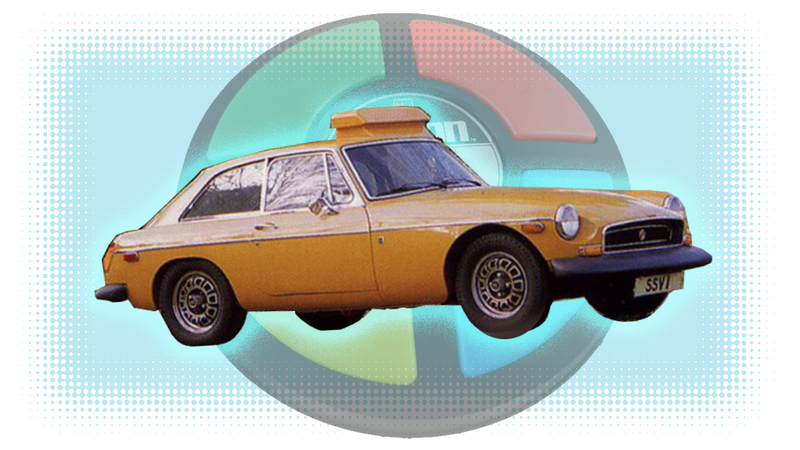 The car looks mostly like an MGB GT, just with a funny thing on its roof (a periscope system) and big, strange rubber bumpers that would pre-figure the rubber bumpers the MGBs would all eventually get. The car was also equipped with a novel system designed to prevent tired, inebriated or otherwise incapacitated drivers from taking the wheel. Do you remember the electronic game called Simon, where players had to replicate a sequence of coloured lights by pressing buttons in the correct order? Well, that was precisely what the SSV1 driver would have to do in order to start the car. Get the (randomly generated) sequence wrong three times in a row, and he would have to wait an hour before being allowed to try again. While designed primarily as a safety device, this feature also doubled as pretty effective immobiliser. It’s important to remember that back in 1972, this wasn’t a trivial bit of electronics to stick in. For example, the first mass-market version of the repeat-the-color-sequence game was Atari’s Touch Me, wasn’t released until 1974, with a handheld version coming in 1978. The most famous variant of this kind of game, Simon, didn’t get to market until 1978 as well. So, with this in mind, it’s possible that the setup built into that experimental MG was the first portable implementation of the Simon-type game, which is, of course, nuts. So, there you go: a strange confluence of motoring and electronic gaming history. The only car ever to require you to play a game before it would start may very well have been the first mobile version of that game anywhere. It’s not clear what the game actually looked like on the dash – I have yet to find a good picture – but the car is said to have had some sort of heads-up speedo display, which suggests a decent degree of technical refinement. My guess is it was a button panel with four lights behind it, probably conventional incandescent dash bulbs. Today, there’s really only one thing left in some cars that acts as a way to prevent unqualified people from starting a car. It’s called a clutch pedal. UPDATE: Commenter Phimuskapsi found a picture of the dashboard with the Simon-game unit! So, a small grid of what looks like illuminated buttons. Okay, that makes sense. Looks like you have to give up a radio, though.